At this point of the journey, your goal should be to build a “racing” checklist. When launching new/enhanced products and services, or seeking to improve efficiency in the GTM process (i.e. introducing a new Sales process), it is important that every year your organization review the readiness of people, processes and/or technology. The areas described below provide an overview of the key considerations for each of the three areas that affect GTM Readiness (note: this functional areas or activities under each does not represent an exhaustive list). Functional Areas Participating in GTM Readiness: (Sales/sales operations, marketing, partner management, and services and support.) Similar to a strong pit crew, engaging resources from all functional areas that affect customer experience ensures success. For example, not properly training or equipping a partner as part of a new product or service launch can lead to a lost opportunity or expensive rework post-sale. 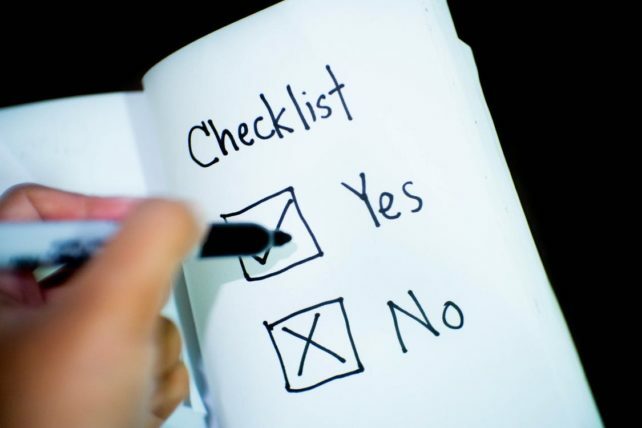 Process Readiness Criteria: (Performance metrics (KPI’s, sales process and support processes, pricing and contract information, collateral and documentation, and other sales or enablement tools.) For every GTM initiative, it is important to understand the impact to KPIs, sales and support processes, pricing…etc. Many times, unknown consequences can occur downstream. For example, if companies lack a process for updating documentation as part of introducing a new release or enhancement, support teams will struggle which will increase time and costs associated with getting customers to upgrade. Technology Readiness Criteria: (CRM – sales and partners, configure-price-quote (CPQ), contract-lifecycle management (CLM), marketing or product collateral and technical documentation, and service support and management.) Technology readiness should align with process readiness; ensuring that these investments are prioritized accordingly (i.e. if the goal is CLM process enhancement, then then the availability or enhancement of CLM technology deployment must be considered “go”/”no go” criteria for GTM enablement). During this series we brought to light that a significant go-to-market barrier to success is the number of siloed technology solutions as well as the number of stakeholders required to approve pricing, terms…etc. to close an opportunity (refer to Blog 2 of this series for more details). Integration of these disparate systems combined with workflow for approval processes, still creates challenges with different GTM groups using different interfaces (training cost impact), in addition to costs of managing new releases of a particular version. Focusing on a platform that provides a single system of record enables GTM teams to have a 360-degree view of their customers to capture key metrics and improve performance, facts-based decision-making. Common look and feel of the platform. Ability to customize views and fields that can support the specific needs of each member of your “pit crew” to allow them to help drive their part of the GTM process. Deliver on any of the solutions for the sample “Technology Readiness Criteria” as well other requirements specific to your GTM model leveraging Salesforce and/or the Salesforce AppExchange. John is a Client Advisor at Statera. He has leveraged his 20+ years of Go-to-Market & Sales Operations experience to help clients solve the Sales Enablement challenges that are impacting cost of sales and win rates. He specializes in helping his clients build business cases and roadmaps for success to ensure that processes, people and technology are aligned to drive high performance.